Salisbury, North Carolina Real Estate: A Vintage Tavern Along the Great Wagon Road. The ca.1840 Tyro Tavern is FOR SALE! Hello. I am Realtor® Greg Rapp with Wallace Realty, and I've never been more excited to have a historic listing of this magnitude! 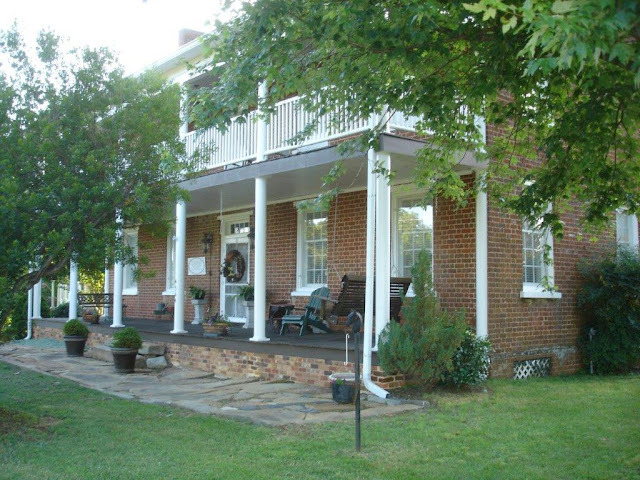 The circa 1840 Tyro Tavern & Plantation in Davidson County, North Carolina is for sale! This represents the unique opportunity to become the 5th owner of this historic Greek Revival home. Listed on the National Historic Register of Historic Places, The Tyro Tavern (also known as the Thompson House) underwent a thorough restoration in 2001 including rebuilding the two 50-foot wide double front porches that had been removed due to rot, the installation of a 40-year roof, new electric and plumbing. This homestead retains many original features like the heart of pine flooring, eight fireplaces, original hand-hewn woodwork and mantles. But that's only a small piece of the story! The Great Wagon Road is the story of the Scots-Irish settlement in America. North America remained a green wilderness for nearly 150 years. There were only trails cut thorough the forest which spread from New Hampshire to Georgia. The Appalachian Mountains was a stern barrier between the Atlantic and the unknown interior of the continent. The settlers moving inland followed paths the Indians had hunted and traded. In the eighteenth century migrations, few trails in America were more important than the Indian route, which extended to east of the Appalachians from Pennsylvania to Georgia. This Ancient Warriors Path had long been used by the Iroquois tribesmen of the north to come to the south to trade in Virginia and the Carolinas. The growth of the route into the principal highway of the colonial back country is important in the development of this nation. Over this vast wagon road came the English, the Scots-Irish and the German settlers to claim land. The Great Warriors Path led from the Iroquois Confederacy around the Great Lakes through what later became Lancaster and to Bethlehem, Pennsylvania to York, to Gettysburg, into the western Maryland around what is now known as Hagerstown, across the Potomac River to Winchester, through the Shenandoah Valley of Virginia to Salem, North Carolina, and to Salisbury, where it was joined by the east–west Catawba and Cherokee Indian Trading Path at the Trading Ford across the Yadkin River in Rowan, North Carolina, thence to Charlotte. It then led to Rock Hill, South Carolina where it branched to take two routes to Augusta, and Savannah, Georgia. (from 'The Scots-Irish From Ulster and The Great Philadelphia Wagon Road', Brenda E. McPherson Compton). In 1840, along the Great Wagon Road, Joseph Hiram Thompson, son of early nineteenth century innkeeper Frederick Thompson, built the Tryo Tavern and homestead. The imposing brick dwelling which still dominates the crossroads village of Tyro is the only structure remaining of Thompson's mercantile and industrial empire. Sometime before 1819, perhaps as early as 1804, Dr. Fredrick Thompson purchased five hundred acres of land in present-day southwestern Davidson County. Legend has it that not knowing what to call the village, he asked a professor for a suggestion. He was told 'tyro', which is Latin for "beginning" or "newly beginning". Thompson's son Joseph H. built a "two-story, five-bay Flemish bond structure" home judged as one of the best crafted masonry buildings from the ante-bellum period. The structure, also called the finest example of Greek Revival Architecture in rural Davidson County, was used as a tavern or inn. This inn was the beginning of the town now known as Tyro, North Carolina. The house was built as a plantation home and tavern in 1840 by Joseph Hiram Thompson. It was built with brick made on site, and it features a wealth of interesting architectural features, including four brick chimneys with eight fireplaces, a double-decker front porch, thick interior walls of brick and plaster, heart pine floors, a sliding door that can be opened to expand the downstairs parlor and joints held together with wooden pegs instead of nails. The house, which is listed on the National Register of Historic Places, served as a kind of “social center” for much of the west Davidson community in its early days, hosting weddings, funerals and other events. It was the center of a 1,400-acre plantation, known as Tyro, but it also sat near a main north-south thoroughfare, so the house served as a tavern and often hosted travelers looking for a meal and an overnight stay. 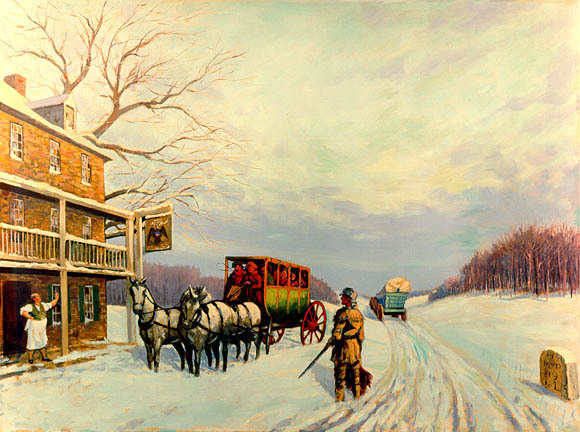 Stagecoaches using the Great Wagon Road in winter needed 5 to 7 hours of travel to cover 10 miles. Three travelers could get a room at Tyro Tavern with a fireplace, clean sheets and a water bowl for 20 cents, according to Sanford’s research. A breakfast of eggs, pork, gravy, biscuits and jam cost 25 cents, while a “warm dinner” of chicken, corn, greens, potatoes, tomatoes and cornbread was 37 cents. The Tyro Tavern is architecturally significant as one of the largest and finest antebellum houses built in Davidson County. Its distinctive characteristics which enabled it to function as a tavern include the folding partition wall between the two east first floor rooms, and the four small bedrooms on the west side of the second floor hall. Beginning on the outside front of the Tyro Tavern, you can see the old stage coach step, a large flat rock showing the wear of hundreds of riders stepping from buggies and stage coaches. In front of the massive front porch, there are stones place in an area covering 8' x 52'. On these stones the names and initials of the Thompson children have long ago been carved. Entering the Tyro Tavern from the front porch, you pass through a massive four-foot door. As you enter the grand hall, 8' wide by 32' long, you walk on the original heart pine tongue and groove flooring and view the staircase that leads to the second floor. Overhead, a beautiful reproduction chandelier now hangs where once hung an original gas light. The first room to your right is the first floor parlor. 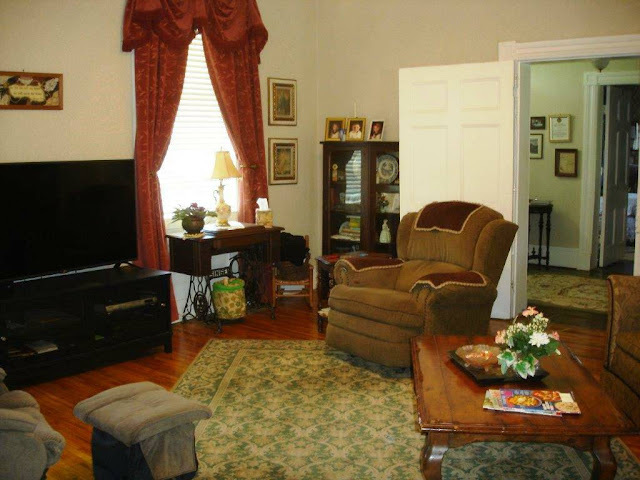 The floor in this room was replaced in 1950 with narrow oak flooring. 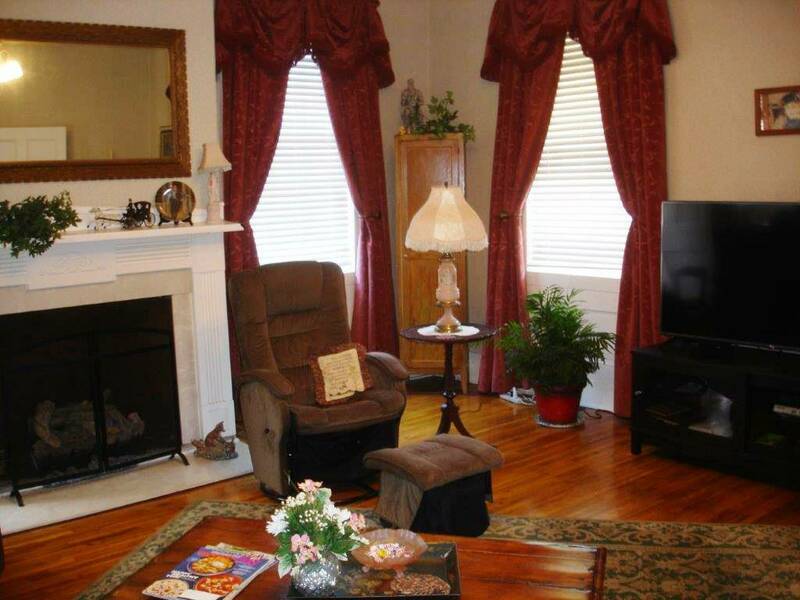 As you enter the room, you view a large fireplace on the east wall, one of (8) fireplaces in the home. 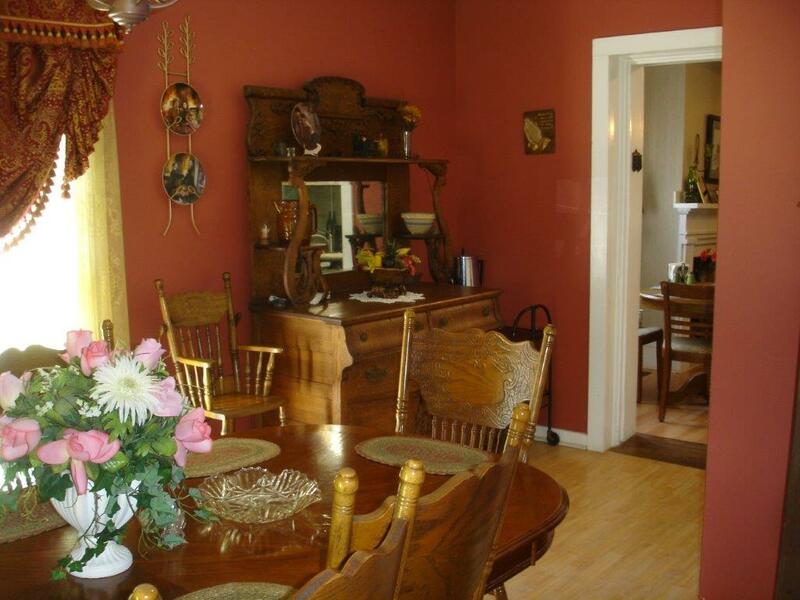 Under the four windows that stream natural light into this large welcoming room are large hand-carved wooden aprons. Wood pegs fasten all the home's windows, doors, and hand-made woodwork. The glass panes in most of the windows are original, with their bubbles and imperfections. All of the first story windows have six-over-nine sash with ovolo-molded surrounds, and all of the second story and pediment windows have six-over-six sash with identical surrounds. All windows originally had louvered wooden shutters, a few of which are preserved in the attic. Heading from the parlor into that is now the large eat-in kitchen, there are five large folding doors. History tells us that these doors would be opened for dances, weddings, speeches and other occasion when a larger room was needed. 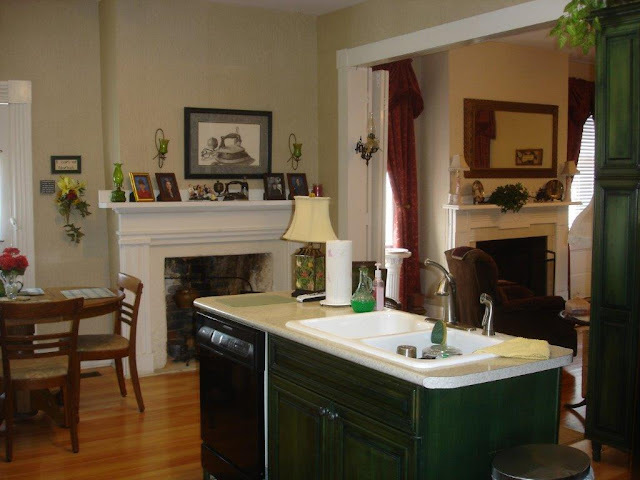 The kitchen has a large fireplace outfitted with a hanging cast-iron pot ready for cooking a stew. Nods to modern living are the beautifully appointed stained cabinets, center work island with sink and dishwasher, and tile back-splash. The dining room off the kitchen used to be a separate kitchen located some forty feet out in the year when it served as the plantation kitchen, as many kitchen were placed in those days. 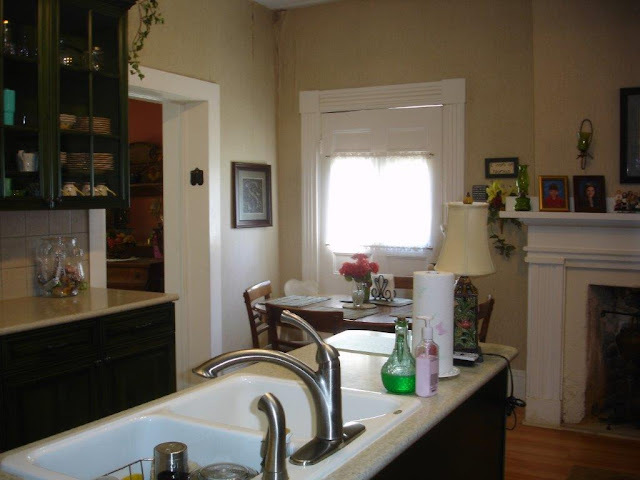 In 1906, this kitchen was moved against the house creating the current dining room wing. 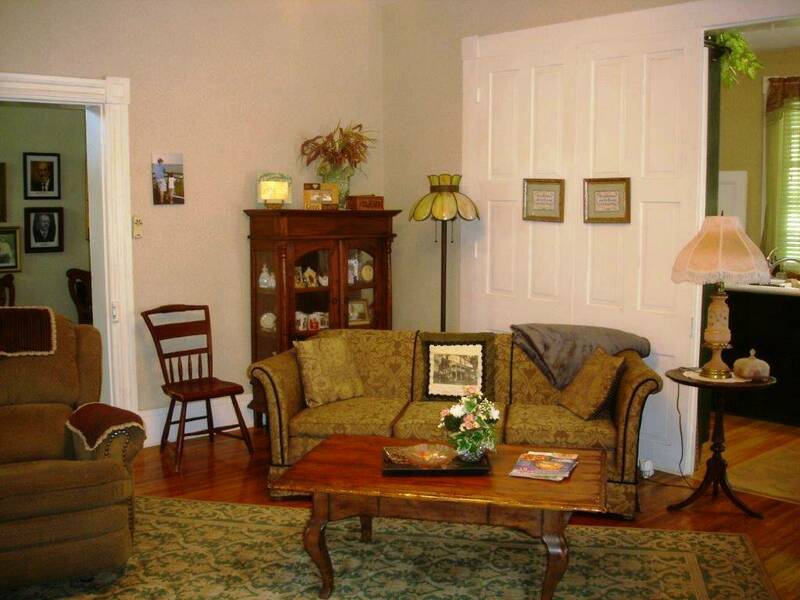 The first floor also offers a ground floor bedroom that was once a second front parlor. This room features original flooring and the original fireplace mantel. Off of this former parlor is a wonderful study or office that also has its original flooring and fireplace. These are but two of the home's eight fireplaces. A modernized bath connects here, beautifully appointed with rich cherry cabinetry and old world wallpaper. In an interesting piece of lore, the current owners were mid-restoration when a knock came at the door. A descendant of the original owners asked to see the home. 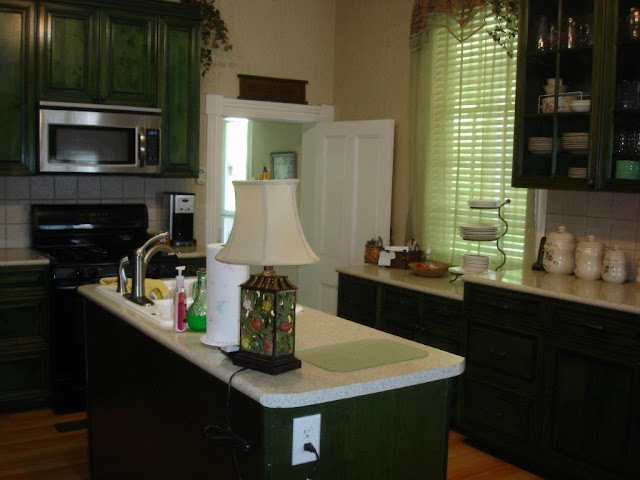 The visitor gasped when she saw the renovations that were happening. . . including the parlor fireplace which at her visit was just a gaping hole in the wall. The woman had the original mantel piece given to her by her elders, and gave it back to Tyro Tavern's owners. Back into the grand hallway, take the 177 year old winding staircase to the upper level. The heart pine wood on the steps and the mahogany rail have taken on a beautiful patina from the years of wear. At the top of the stairs is a closed-in closet under a stairway that leads to the third floor. 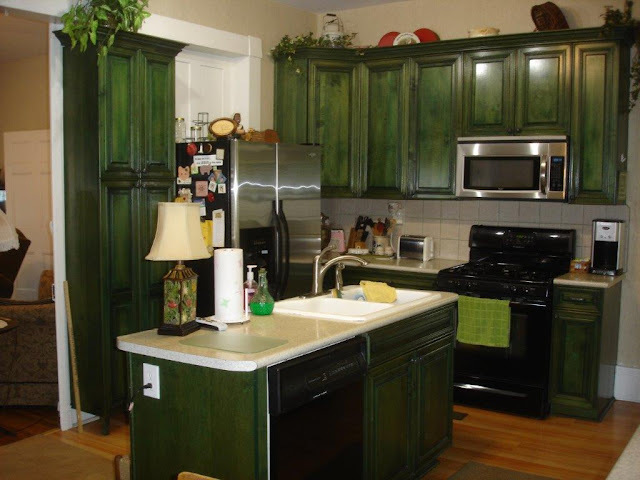 It bears its original paint on its 15-inch wide boards, showing the marks of hand planing. The first room you'll enter is a large bedroom with another fireplace. 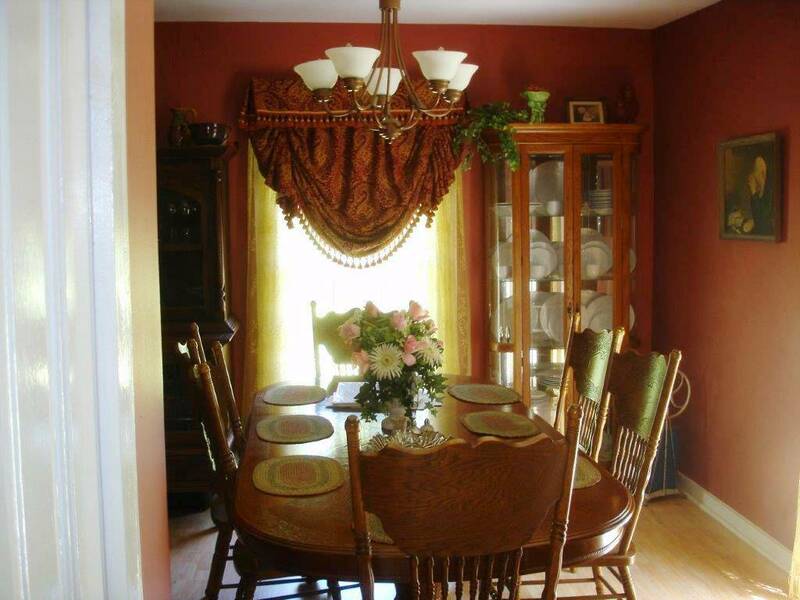 Beside it, a lovely large room currently serves as an upstairs parlor or library. Originally, it was the master bedroom for the plantation. It has its original gun cupboard beside the fireplace. When the current owners were restoring this room, they found remnants of the original teal paint, which they matched to refurbish this room as it may have looked in 1840. A small, lesser hall leads you to what was originally four tavern bedrooms. There are now two bedrooms, a second floor bath, and a walk-in closet. The bedrooms are painted in period colors. The blue room's fireplace retains its original paint. The bath, which was once one of the tavern bedrooms, features blue wash cabinetry and a claw-foot tub. The stairway leading from the second story leads to the third floor, once used as more sleeping quarters, but now a large attic space. The rafters are visible and each is marked with Roman numerals, as they were mortised on the ground fore being lifted into place. The very special features of this historic home are the three large porches. The two front porches are 8 feet deep by 50 feet wide, spanning the width of the home. It is especially nice to be able to walk out the upper center hall out onto the large upper veranda overlooking the town of Tyro. Downstairs and out the rear door, another porch overlooks the deep yard, original corn crib, and a 20x20 workshop. The rear threshold also bears the patina of 177 years of tavern and plantation life. The back stone steps bear carvings that approach 100 years old by date. Five of the rear porch's posts are original; two have been replaced. There is so much history and so many stories to tell about the Tyro Tavern ~ this is my introduction to you to see this wonderful and magnificently solid brick home. 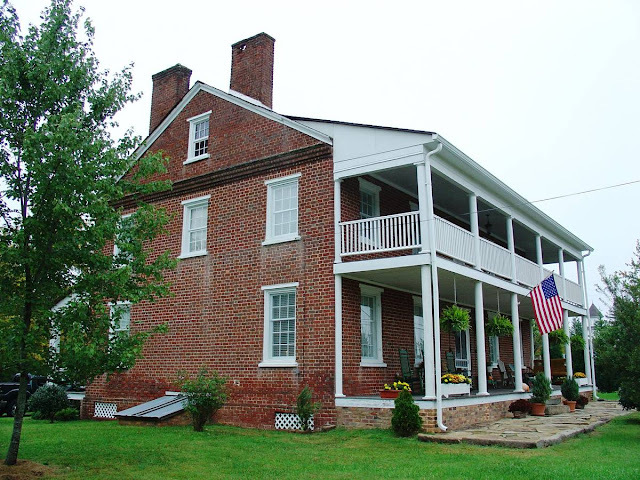 This early 19th century home was one of Tyro's most interesting landmarks. Through later years, the home was know, also, as "The Old Stage Sop", "The Thompson House", and "The Wilson House". You will know it as 4564 S. Hwy 150, Lexington, North Carolina. If it were not for this homestead that once included a 1500 acre plantation, the town of Tyro would likely not exist ~ located half way between Winston-Salem and Salisbury along a section of the Old North State dotted with century old farm houses, tobacco fields, and other signs of years gone by. With 3416 square feet, 5 bedrooms, and two baths, this home is an unbelievable buy for the right person! "Tyro" means "a new beginning". . . and this painstakingly restored treasure could be your new beginning. Please call me, Greg Rapp, at (704) 213-6846 to schedule a private showing of this wonderful home and sleeping giant of history. I'm so pleased to be able to offer you this home! You can be the 5th owner of the long-standing landmark Tyro Tavern.